This graceful tallit is a beautiful way to express your Judaism as well as your personal style. 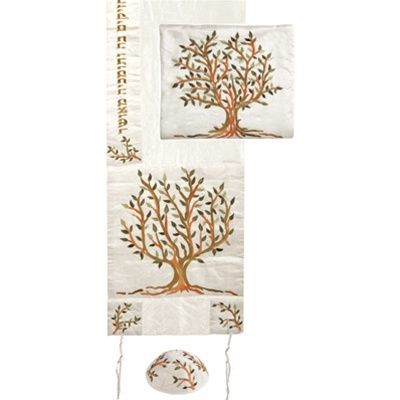 The tallit is pink raw silk embroidered with a graceful multi-colored Tree of Life. The design adorns the tallit's corners, front panels and neckband, which features the Hebrew inscription “Etz Chaim He Lamahazikim Ba Vetomheha Meushar”. The gorgeous tallit comes with a matching bag and kippa.